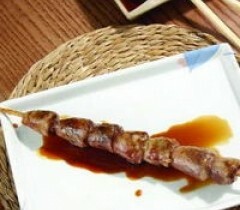 1 What can you make from chicken hearts? 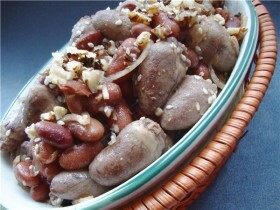 Chicken hearts - a byproduct of the favorite of many hostesses: various soups, pates, pilaf, salads, barbecues can be prepared from them. Also served stewed hearts, fried or boiled with sour cream sauce, mushroom, vegetables or cheese. The product contains a large amount of substances, needed for the body: iron, copper, phosphorus, potassium, magnesium, vitamins, much protein. In this case, they have little fat. To prepare the chicken hearts, must first wash them in cool water, Trim off any excess film, capillaries and fat. And then you need to follow the guidelines for the preparation of a particular dish. What can you make from chicken hearts? Into the pan to fry peeled and chopped onion, and a few minutes to pour the prepared hearts with the added seasoning to taste (salt, pepper). Lovers can add the peeled and finely chopped mushrooms. Podlivaetsя water (200-300 ml), catches pair of bay leaves. After that, everything is covered with a lid and extinguished within 30 minutes on medium heat. Next, the pan you need to pour the required amount of sour cream and herbs. everything is mixed, then extinguished a few minutes. After turning off the fire dish should stand for about fifteen minutes and it will be possible to bring to the table. Prepare chicken hearts as possible and in this way. Soup at the same time get a dietary, but nourishing and delicious. To one portion required about 400 Mr. heart, 150 g mushrooms, 4 medium-sized potatoes and seasonings. The pot is filled with a few tablespoons of olive oil and finely chopped hearts. During 7 minutes, in this way, byproduct roasted, then add the onion, diced, and three minutes extinguished. To this is added the number of products 2 l of boiling water. When the water boils, She rushes in sliced ​​potatoes, through 7 minutes of the fire decreases, fall into the soup chopped mushrooms and pepper to taste. Before the end of cooking remains 7 minutes. After turning off the fire soup should more minutes 10-15 Then on the hot burner under a closed lid, and it can bring to the table, add sour cream. The recipe of this delicious dish is very simple. 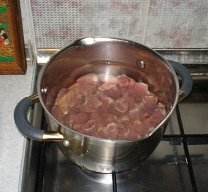 For it will require chicken hearts (about 700g), a pound of potatoes, tomatoes, bow, Salt and spices. Lightly cooked hearts are placed in a pan, cleaned and cut up into small diced potatoes and onions. Cooking pots: placed at the bottom of each piece of butter, stacked on top of cooked hearts, then - onions, top added seasoning and salt - to taste. Then fit the potato thick layer. The final step - layer peppers or mixtures of vegetables. Next, go to the pots 60 minutes in a preheated 200 degree oven. To do this, they 40 minutes languishing in its own juice, further added vegetables (potatoes, carrot, bow), 150 ml of water, after which the entire mixture was quenched in multivarka about 2 hours. Before serving, you need to add some spice.